Illinois Gov. Bruce Rauner speaks with Employees of the Illinois Emergency Management Agency Tuesday, June 30, 2015, in Springfield, Ill.
Two hours before Illinois Gov. Bruce Rauner donated blood and announced he wanted to take control of Chicago Mayor Rahm Emanuel’s school district on Wednesday, Rauner fondly told the story of how he first met Emanuel. 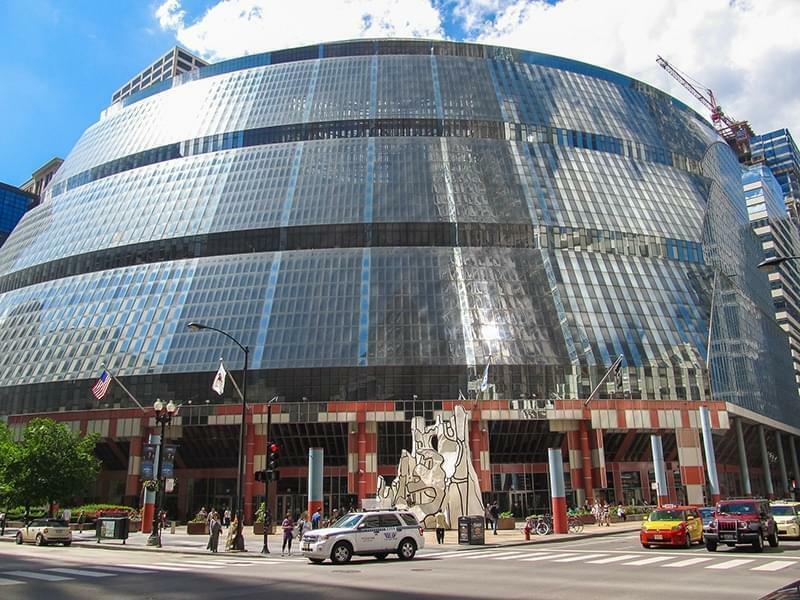 Rauner was interviewed on stage at the Hyatt Regency Hotel in downtown Chicago by his neighbor, David Kahnweiler, at a breakfast event for realtors, sponsored by Real Estate Publishing Group. Rauner and Emanuel have been publicly fighting in recent weeks over the finances of Chicago Public Schools, and Rauner’s rendition of the first time he met Emanuel shows how Rauner pushed Emanuel into investment banking so the future mayor of Chicago could make a lot of money in a short amount of time. MODERATOR DAVID KAHNWEILER: Do you mind talking about Rahm a little bit? 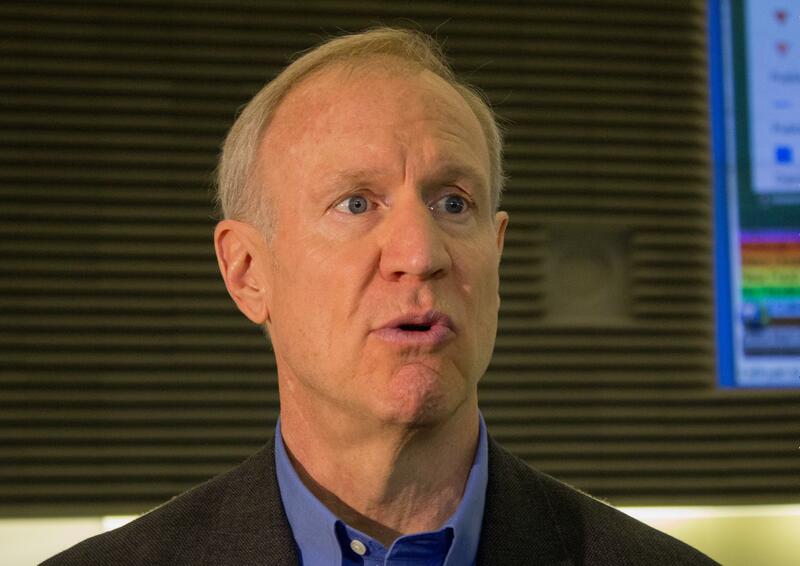 RAUNER: On capital gains, yeah. Yeah. KAHNWEILER: On capital gains. And your relationship has always been one of just needling each other. So is this just more needling going on in the last few weeks or is it getting to be a little sharper than needles? 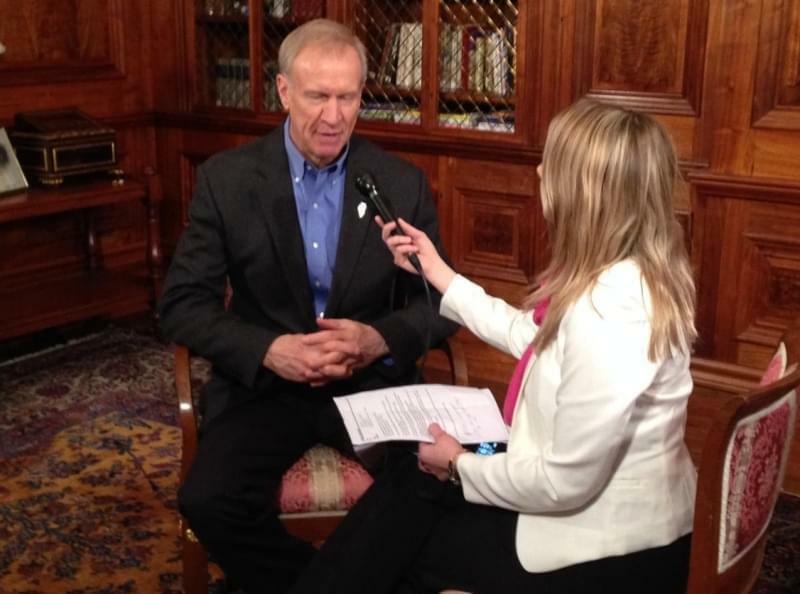 RAUNER: No. It’s way more sharper than – there’s really a lot on the line. I’ve known Rahm Emanuel for over 20 years. Actually, we’ve been pretty friendly. Actually, again, smart, funny, hard-workin’, disciplined. KAHNWEILER: Tell ‘em how you met. And he said, ‘No, no. I’ll be great. And I’ll find ya deals and I’m hustling. I got relationships and I’ll be great. And he and he and he says – uh – and I’m arguing with a stranger about being my partner. And I said, ‘Look, that’s my advice. There’s the door. Don’t let it hit ya on the way out.’ I literally said that to him. He gets up in a huff. Storms out. Whatever. And I get a phone call about 60 days later. He comes over. You know what? Starting [that] Tuesday and for the next three and a half years, best investment banker I ever worked with. Relentless. Smart. Networking. He brought us two of the best deals we ever did. To say thank you, I bought him three great deals for his firm. IPO. M&A. Good relationship. And we kicked the stuffing out of each other almost every day. And we fight. We argue. We, you know – but, you know it. I respect him. He respects me.